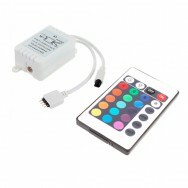 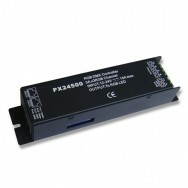 To communicate with your colour changing RGB LED Strip Lights you will need an RGB Controller. 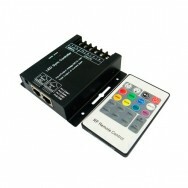 The controller consists of two parts, the remote and receiver. 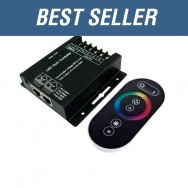 The receiver is lightweight and compact, making it easy to conceal and to install. 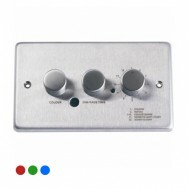 Choose from an RF (Radio Frequency) or IR (Infra Red) receiver, depending on the level of control you require. 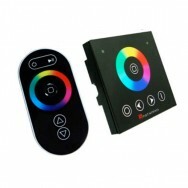 Using the remote you will be able to manipulate the speed, brightness, mode and on/off function of your RGB LED Strip Lights. 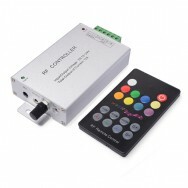 » Sync Lights to Music!